I squeezed in another finish! My first little three-trilobite sampler. I need to find a gray slate or stone frame for this. 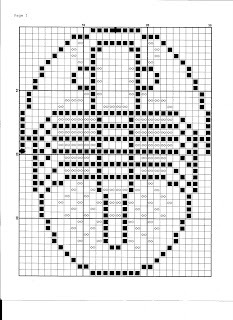 I am enjoying building my little trilobite library but it's slow going, what with the ADD-like nature of my stitching whims and inspirations. The first two in this series are Phacops and Anomocaroidea. This little third one is Asaphida Ogygiocaris. Cute, huh? 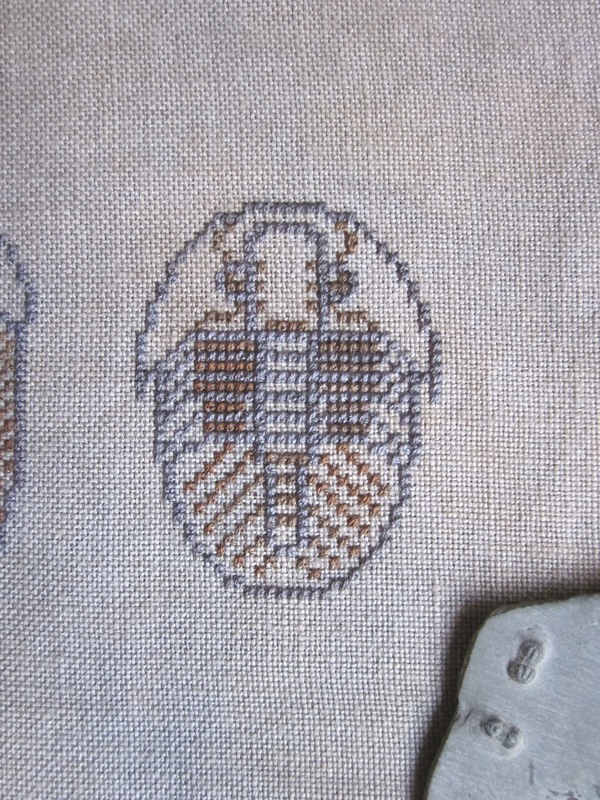 I've stitched this little sampler using HDF silk in colors "Primitive Barn Brown" and "Primitive Barn Bunny" on which are very complementary to the light gray and brown mottling of the 36 ct. Silkweaver linen color "Rock Quarry". 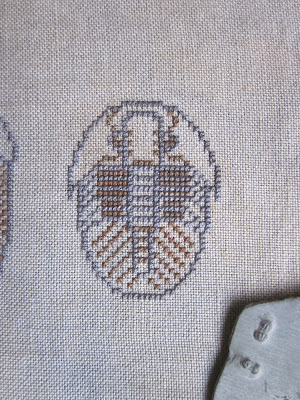 As you can see I took inspiration from real gray and brown trilobite fossils from my own collection. 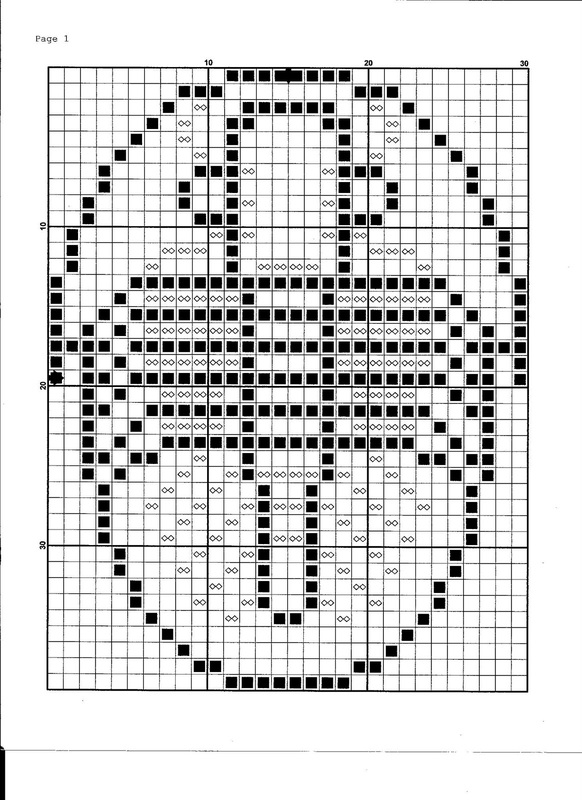 In the interest of science education and encouraging our small community of scienc-y stitchers, I have been posting the patterns for these little dudes. If you would like to share these freebies with others, please do so, but please forward them here and do not copy or sell the patterns. To save, right click on the photo above and when it loads, right click again "Save picture as" and save as you like. Enjoy! Oh those are fantastic! I have some trilobite fossils on my living room shelf :-) but no trilobite embroideries. These are gorgeous! 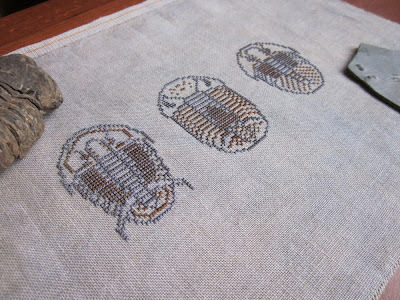 I must admit, before seeing reference to your work on geekcrafts.com, I had never thought of trilobites as great needlepoint subjects, but now I can see their potential. I particularly love how simple the designs are, and how your choice of fabric and thread make them look so much like real fossils. I am putting these on my to-do list!